James' Nike LEBRON 15 “Equality"
A group of 59 game-changing youth from across the U.S. got the surprise of a lifetime on Tuesday: a sneak peek at one of the museum’s latest additions, the LeBron James’ Nike EQUALITY P.E. that LeBron wore on December 17, 2017 in Washington, D.C. The shoes will be on view in the museum’s sports gallery this fall. The young people were brought together to celebrate Equality through the power of sport. Collectively, they represent six cities and four community partners who support youth in realizing their potential: the First Tee of Atlanta; PeacePlayers International of Baltimore, Brooklyn and Detroit; Urban Initiatives in Chicago and the Boys & Girls Club of Metro LA. 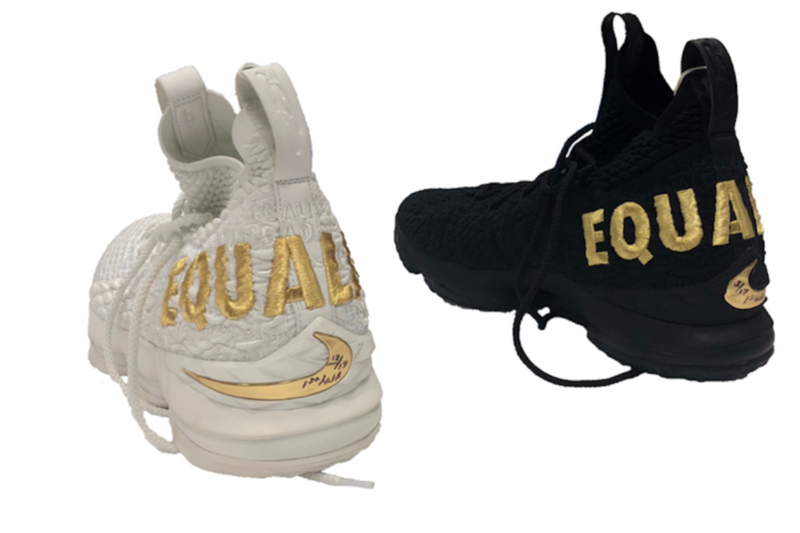 On February 26, 2018, Nike and James launched the LBJ15 Equality Shoe raffle with all proceeds benefiting the Smithsonian National Museum of African American History and Culture. Over 60,000 individuals participated in the public raffle to raise $457,780 in donations to the Museum. View James' special message for the young attendees below. Lebron's special video message for the kids. 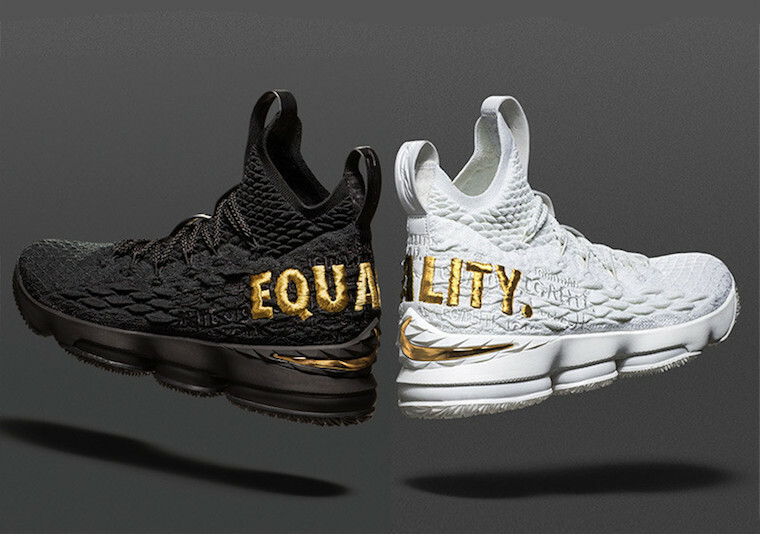 On December 17, I chose to wear a pair of shoes, the Lebron 15 Equality, one black, one white. I use this shoe as inspiration. I want you guys to use this shoe as inspiration, as a voice.